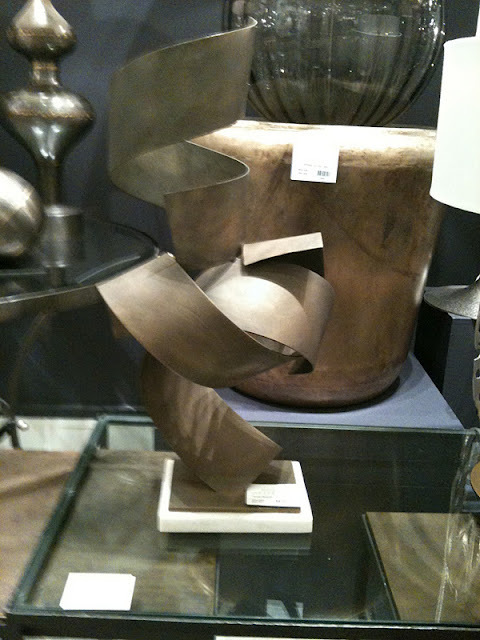 Today, I'm wrapping up my tour of High Point Market. Hope you've enjoyed the tour so far! I must say I was fortunate enough to get a reservation at the O.Henry Hotel. It was such an amazing experience. Here's my ride to and from the hotel. Aren't their London taxi's darling?! My driver, Bob, was full of southern charm. Love that! 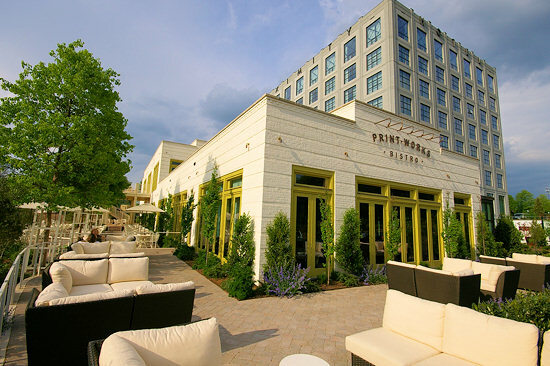 We ate at Print Works Bistro, which is in their sister hotel, Proximity. It was gorgeous! If you ever go there, you must get the Truffle Fries. They also serve them at the O.Henry. Now, I must get my hands on the recipe! Imagine... french fries with truffle oil, herbs de Provence and saffron rouille. Am I making you hungry? I can't believe I didn't take a picture of them. After all, we did eat them every day! Shhh, don't tell. You can never go wrong with pillows from Dransfield & Ross. Just a few of my favorites. 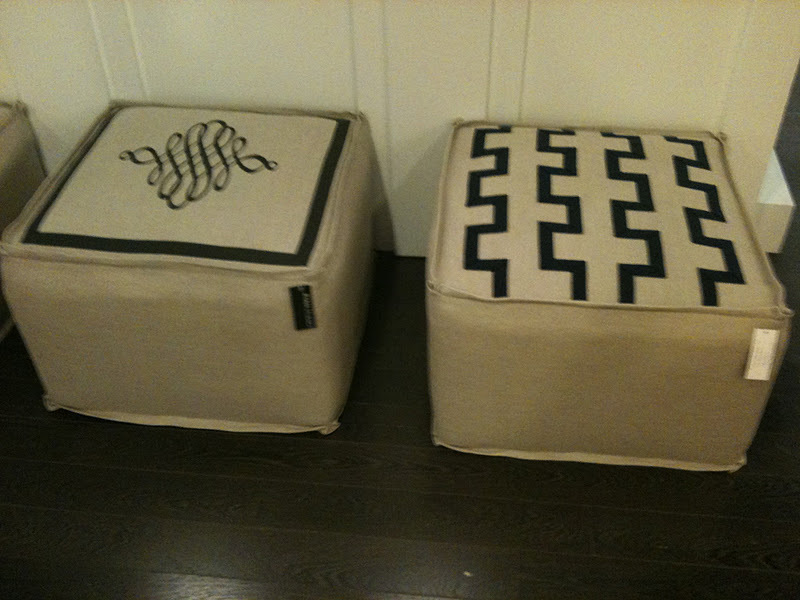 ﻿Ryan Studio has some amazing poufs. 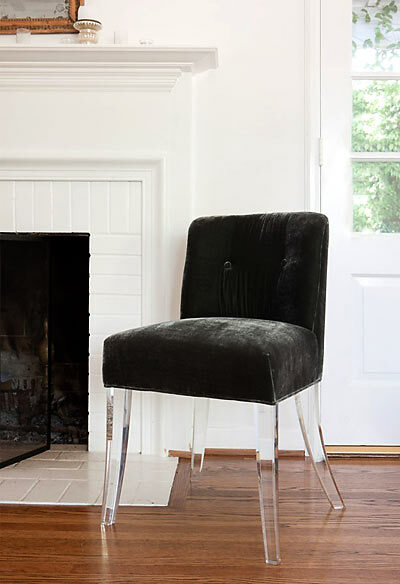 Perfect for so many rooms in the home. Another fan favorite is Tritter Feefer. Love their selection of side tables and desks. Some great accessories. I'd be happy to take them all! For all of the dog lovers out there, Trowbridge had an incredible collection. So charming! And finally, if you love lucite, you will L.O.V.E. Grace & Blake. Here are a few images from their website since my camera died. So, there you have it. High Point Market in a nutshell. Most of the items featured are to-the-trade only. If you are interested in purchasing any of the items shown, contact me at info@mariannesimondesign.com. I can make your dreams come true!